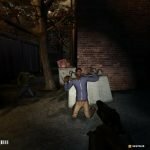 The SWAT series has a long and interesting history. The series evolved from the Police Quest adventure games to become, at first, a video-based tactical game endorsed by the former head of the Los Angeles police department—and the creator of real-world SWAT itself — Daryl F. Gates. 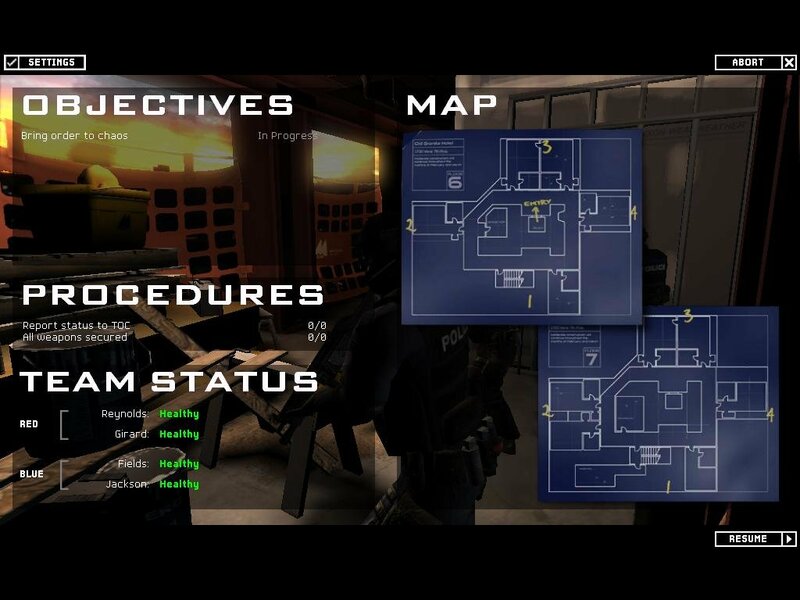 SWAT 2 turned the series into a tactical, top-down strategy game that really showed where the series was headed. The third iteration hit the jackpot. 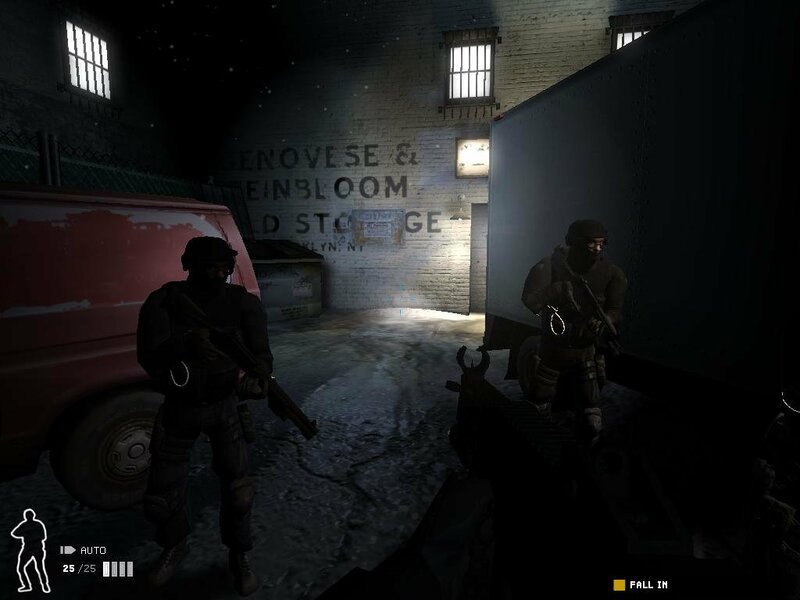 SWAT 3: Close Quarter Battles put the player in the shoes of the team leader of a five-member LAPD SWAT team, or Element, as they tried to complete a series of missions set in real-world locations. 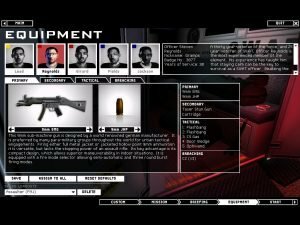 It was up to you to outfit the team and command its tactical actions, all following more stringent SWAT requirements for engagements (i.e. you can’t just run and gun; you’re required to first issue compliance orders, as in “Put down your weapons… please?”). 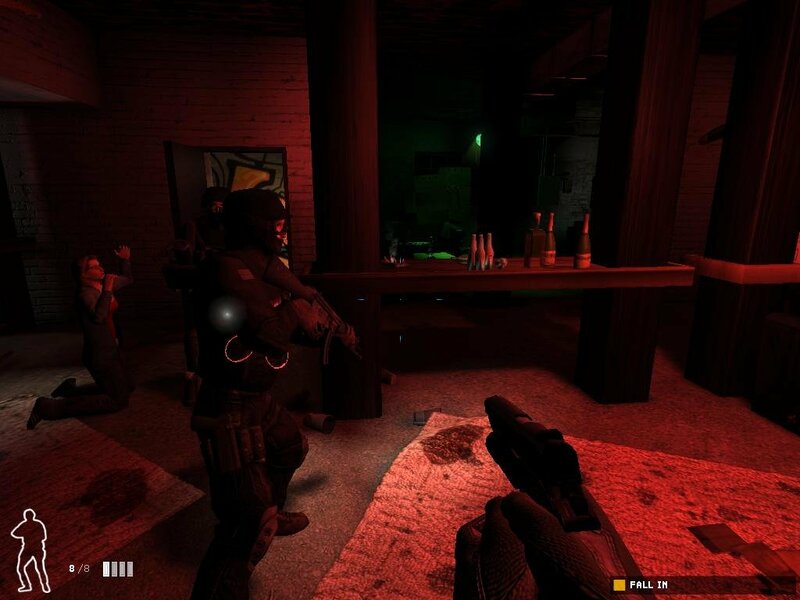 Unlike most tactical shooters—or shooters in general — the game isn’t all about killing people. In fact, that’s considered a last resort, not the ultimate goal. It’s about getting the situation under control by following procedure, issuing compliance, and utilizing both conventional and non-lethal weapons. 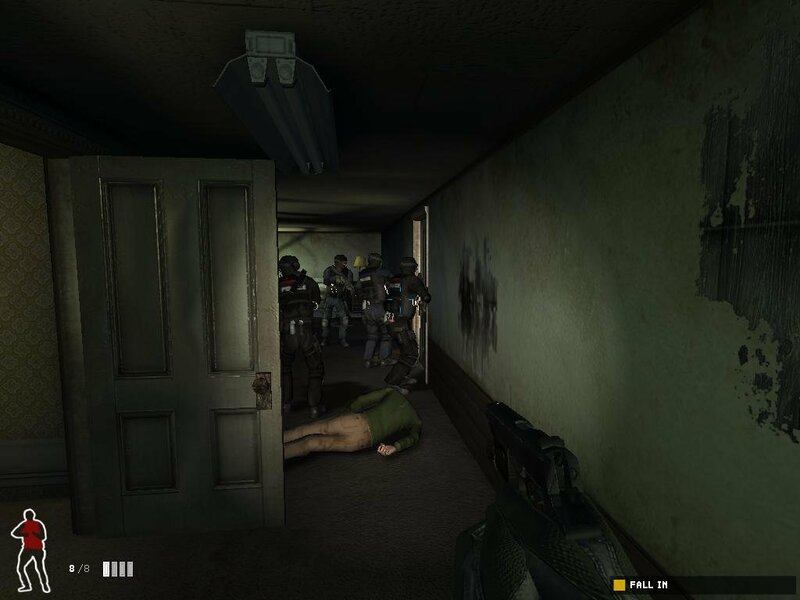 Though less popular than the excellent Rainbow Six series, it was a better tactical game, with superior AI. 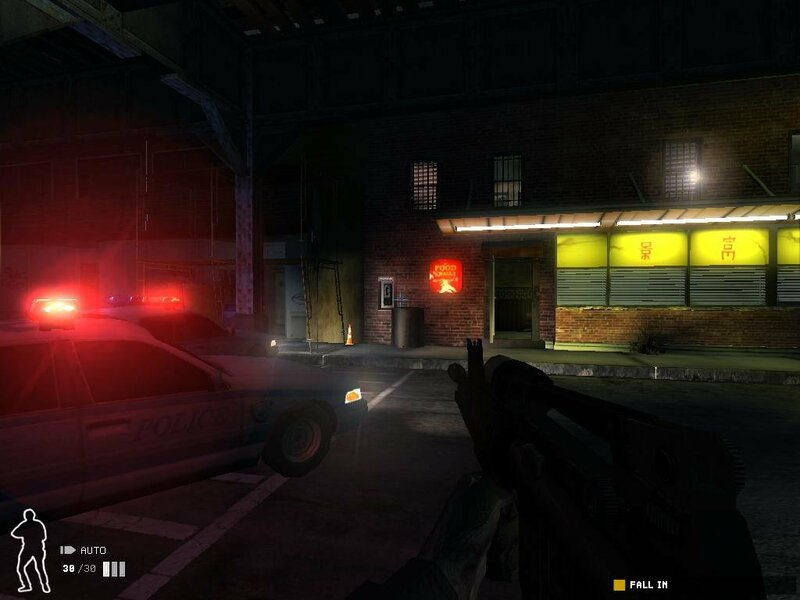 A sequel was inevitable, and in March of 2002, Vivendi and Sierra announced SWAT: Urban Justice. After a lot of coverage, it was eventually canceled. Originally scheduled for release in fall of 2002, its first missed release date was the first sign of trouble. 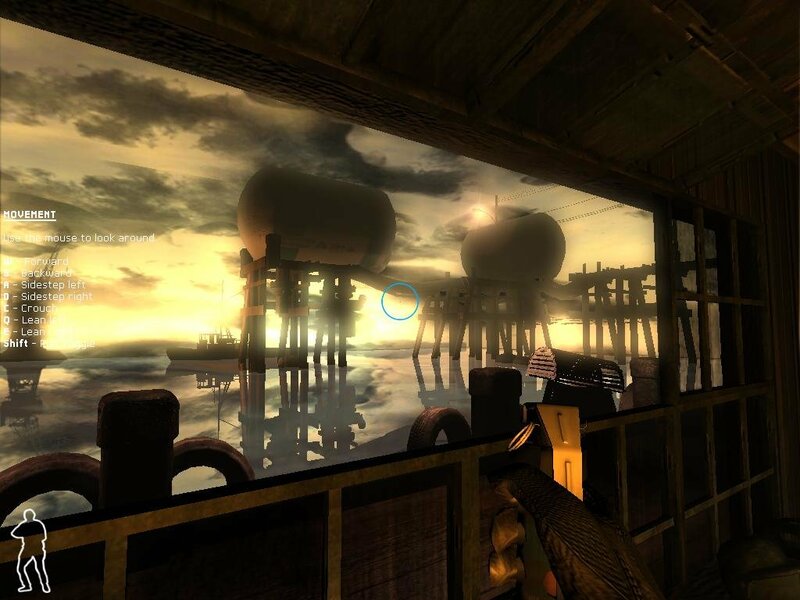 With that project floundering, Vivendi approached Irrational with the idea to convert all of the existing work to the Unreal engine, also known as the “Vengeance Engine” since it was also used to power Tribes Vengeance. 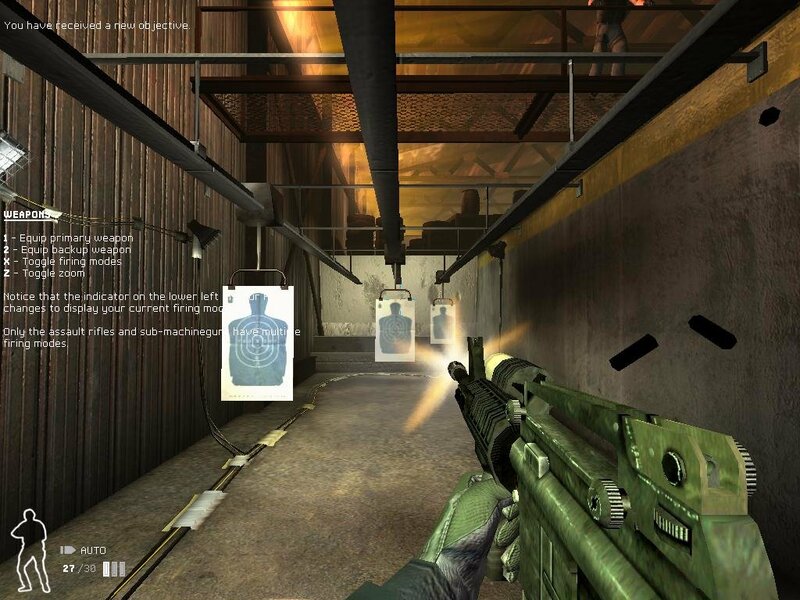 One big goal for the new game is to make it easier to play, with a shorter learning curve. 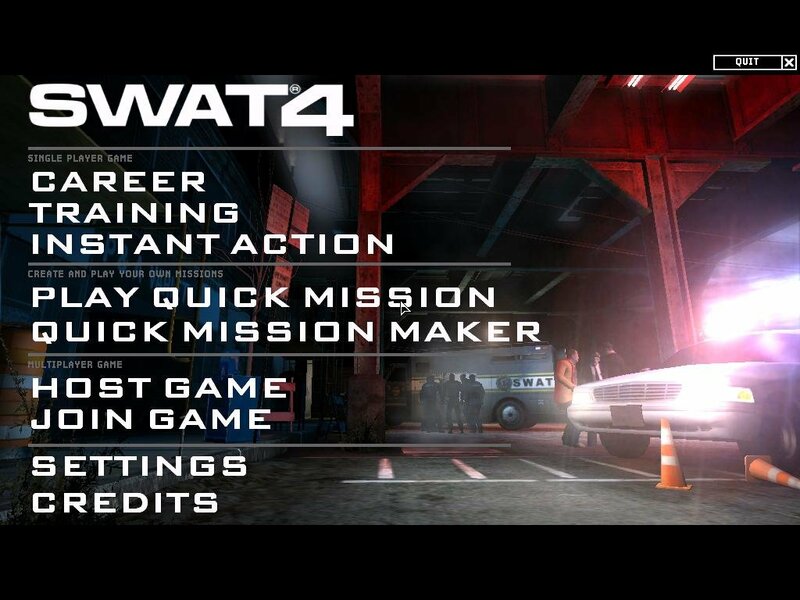 SWAT 3 didn’t even have a tutorial — it threw you right into the first mission and expected you to know how to manage two teams. SWAT 4 has a full-featured two part training mission, with the first half showing players how to use the skills and tools available, and the second telling you how to use and control your Element. 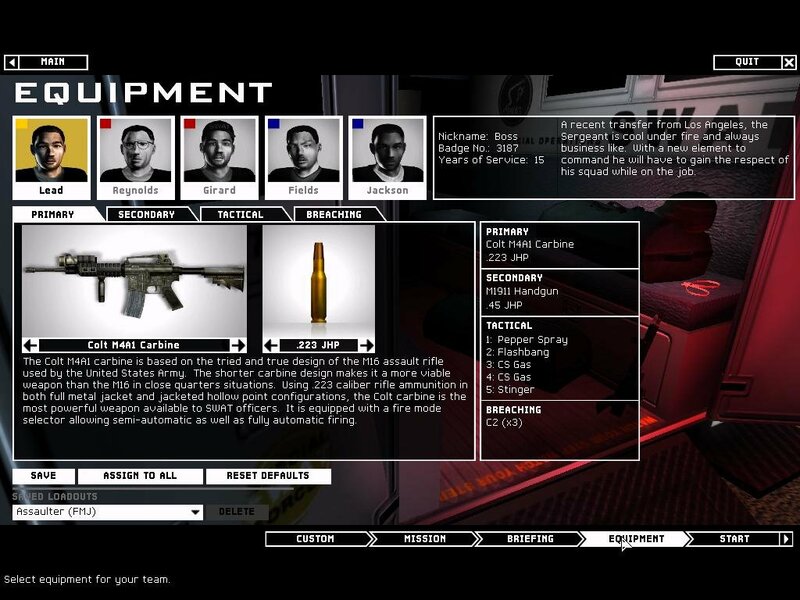 While the interface for issuing orders in SWAT 3 was better than most, it certainly wasn’t intuitive. 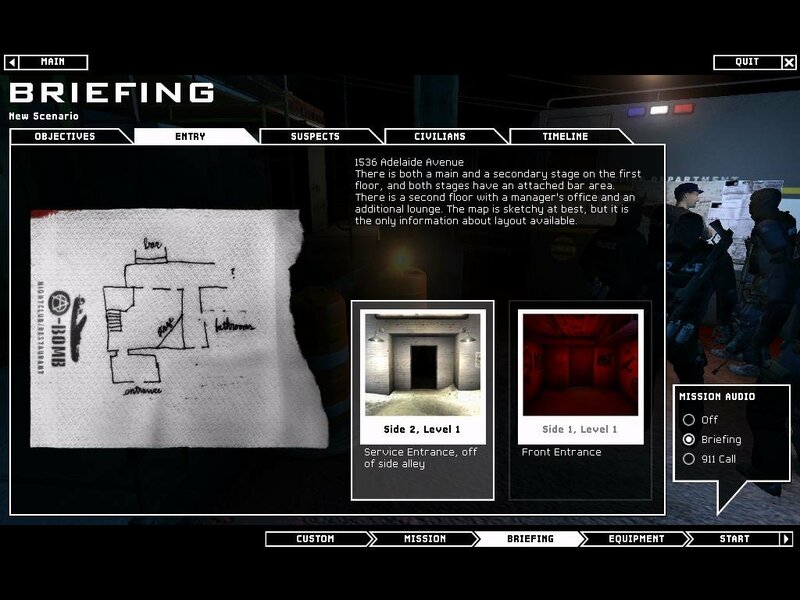 So there’s a new interface, one that Levine says is “about letting the player do something pretty smart without making them think a lot, but optimally supporting players who really think it out.” For example, you can still split the Element into two teams of two officers, Red Team and Blue Team. A single key (Tab) switches between the two teams or the entire Element; the interface even changes color to let you know which team you’re issuing orders to. It’s subtle, but effective. The command interface is where you find most of the changes. 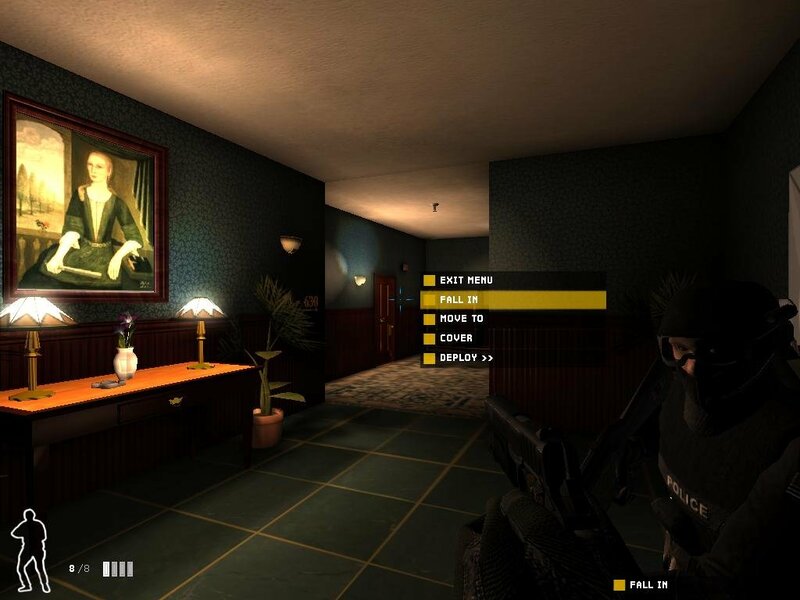 If you point the targeting reticule at an object, there’s a logical default “Quick” command. (An example would be “Open” for a door.) Right-clicking on the object brings up a detailed menu of all of the available options. 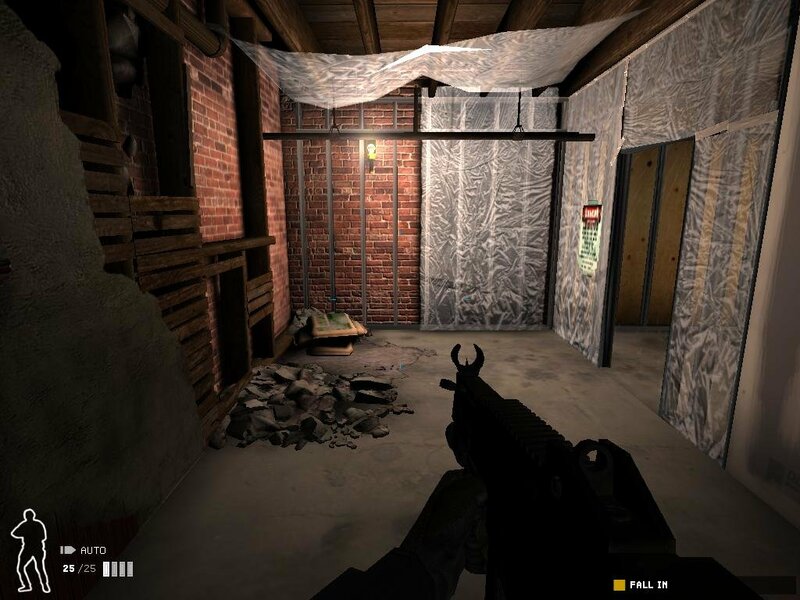 For a door, the usual crowd favorites are there: Breach and clear, breach bang and clear, use gas, blow it up, use a breaching weapon, etc. 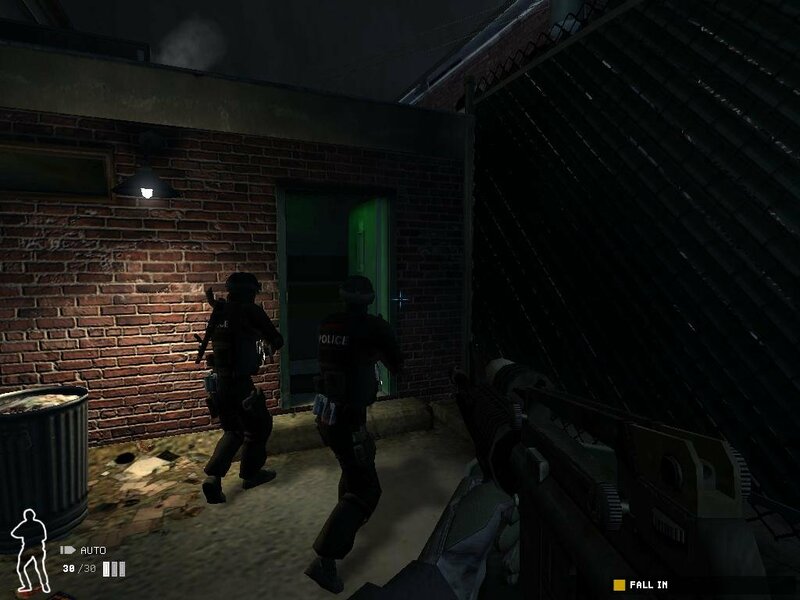 SWAT is all about figuring out how to get through doors without getting yourself or your team killed, and players have a lot of tools at their disposal—lock picks, door wedges, an optic wand for looking under the door. 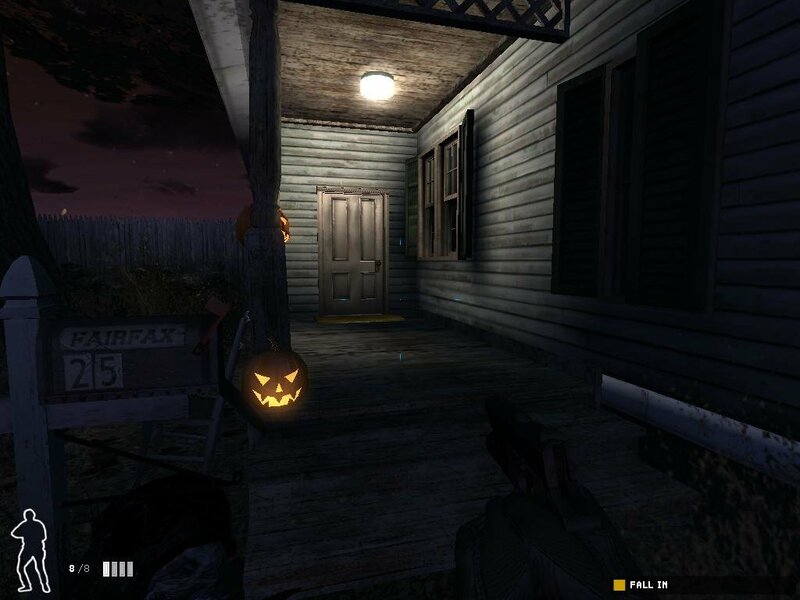 The new interface lets you move the cursor over different parts of the door to access every option. While just pointing at the door itself allows you to “Open” it, mousing over the lock brings up a lockpick cursor, and a single left-click pulls out the tool, picks the lock, and then puts it away. 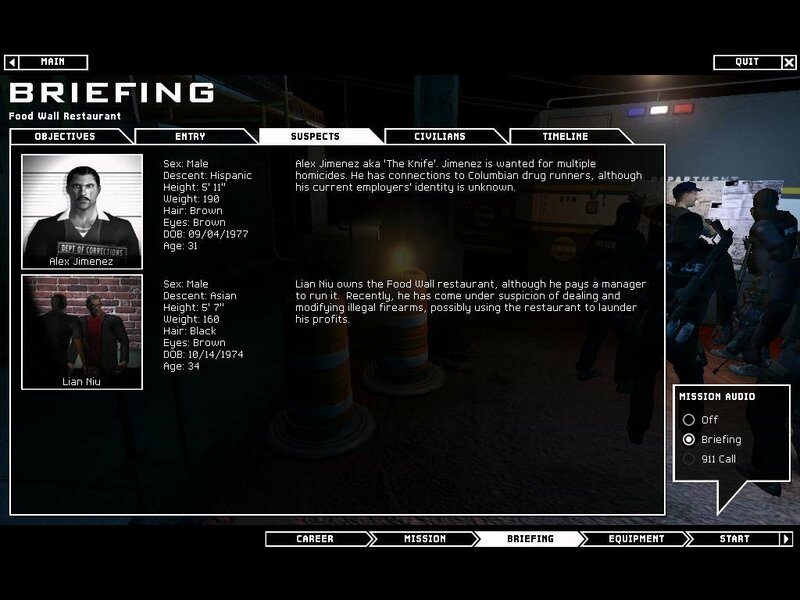 The game tracks the morale of the perps and hostages on any given level, and it determines whether they’re more or less likely to comply or ignore the commands of the players. 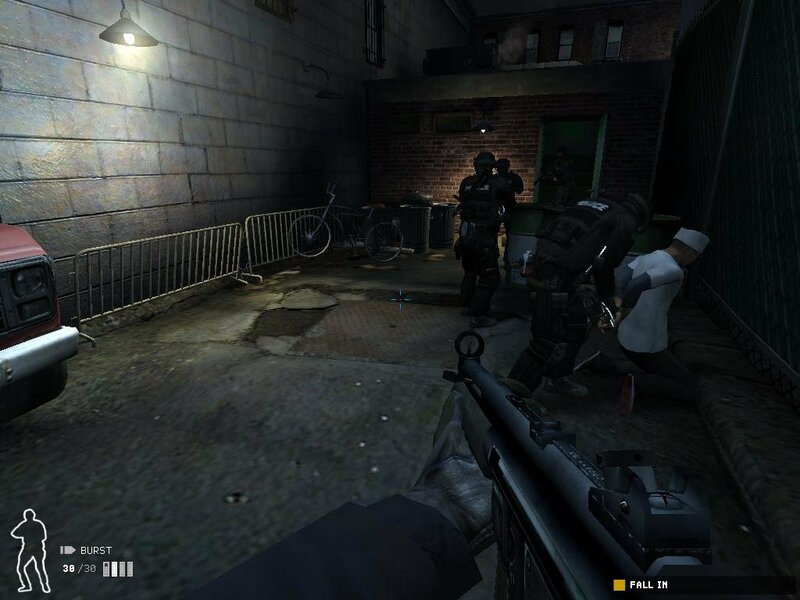 Using flashbangs or gas, or blowing up doors lowers morale, while a bad guy killing an officer causes it to increase. 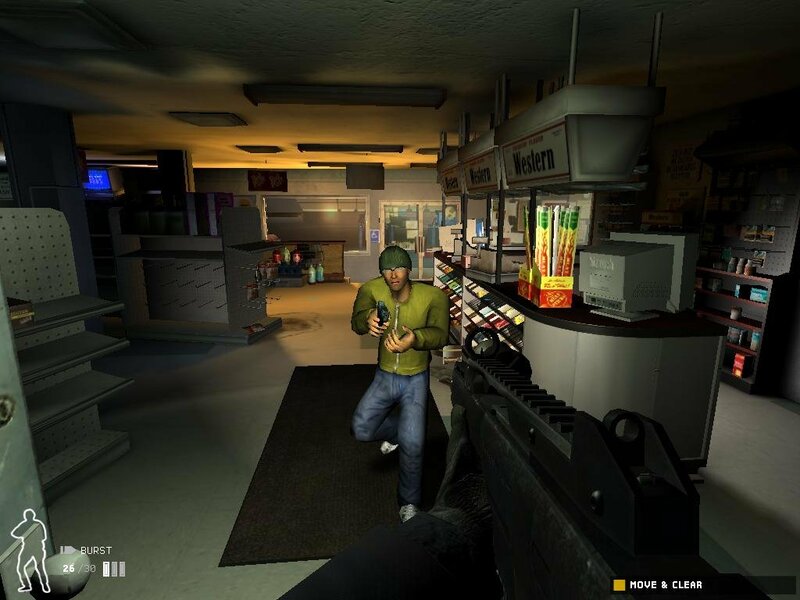 According to Hellquist, every enemy has about seven potential actions when it sees you, from taking a shot at you to fleeing and finding a hiding place or cover. 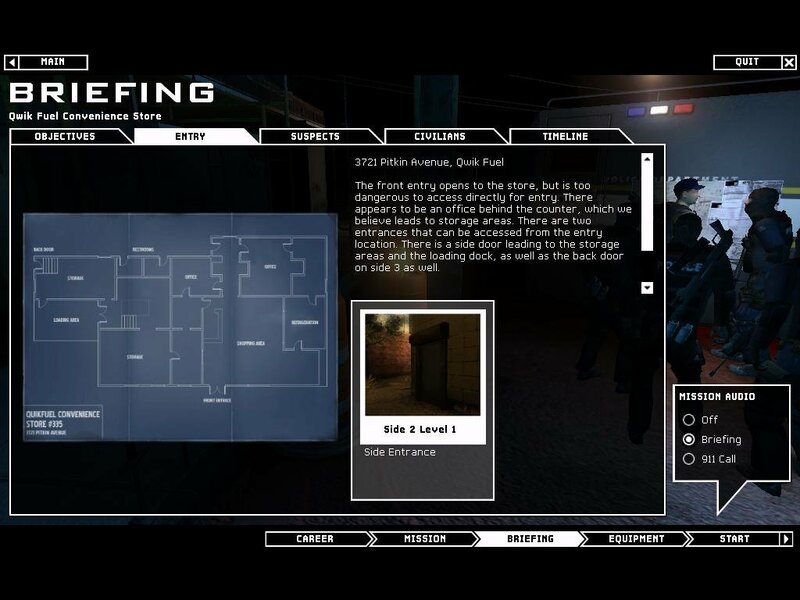 Once you complete every objective within a given location – usually involves neutralizing every suspect and cuffing hostages for their own safety – a “Mission Complete” notifier will pop up. There’s also a rating system to keep score of your performance, but this is a double-edged sword. 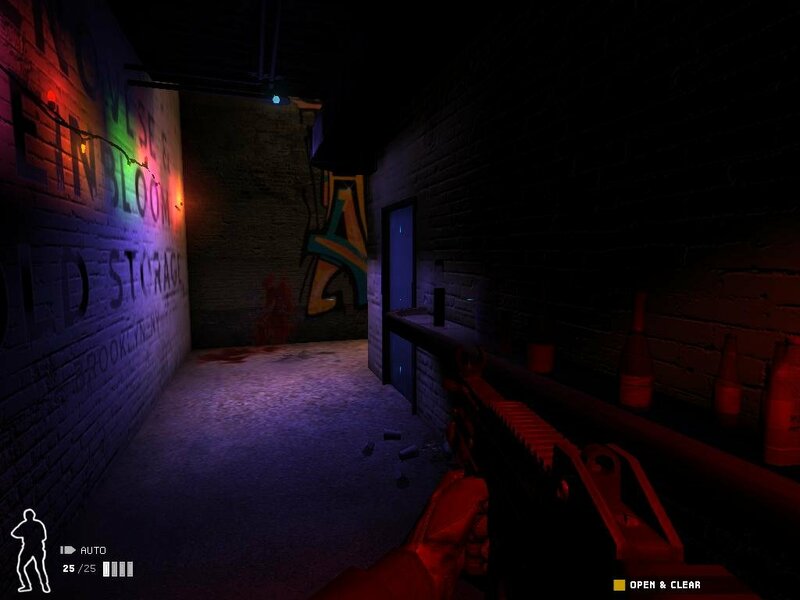 Perfectionists should ignore it, because even if your performance is exemplary and all of your kills are justified, the game will still only score you in the 70-80% range. 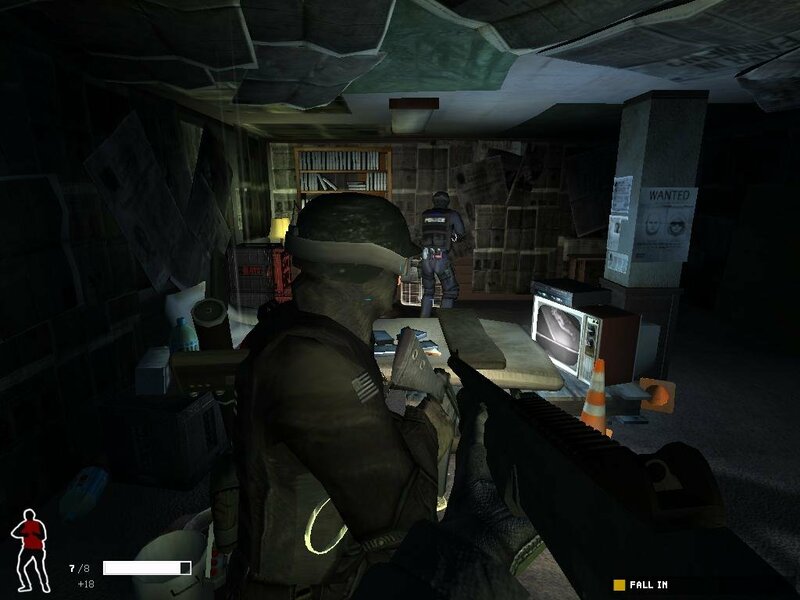 It’s got some quirks and odd AI at times, but overall you get that sense of simulation with SWAT 4. It’s the idea that it plays differently each time through. You can play a mission 10 times in a row and you’ll always find a guy that’s lurking in a spot you didn’t expect, or he’ll react in a manner different from previous times. 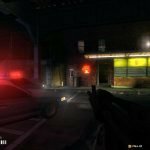 It was a hallmark of SWAT 3, and the same can be found in SWAT 4 It’s just another part of what makes the tactical shooter genre so entertaining for players. And with so many of them featuring a military theme, it’s amazing how switching the protagonists to police officers changes the entire feel of the game. Try new link. Easier to install. New link is the magnet right? This game is addictive even though it can be frustrating because your team is not so effective sometimes. 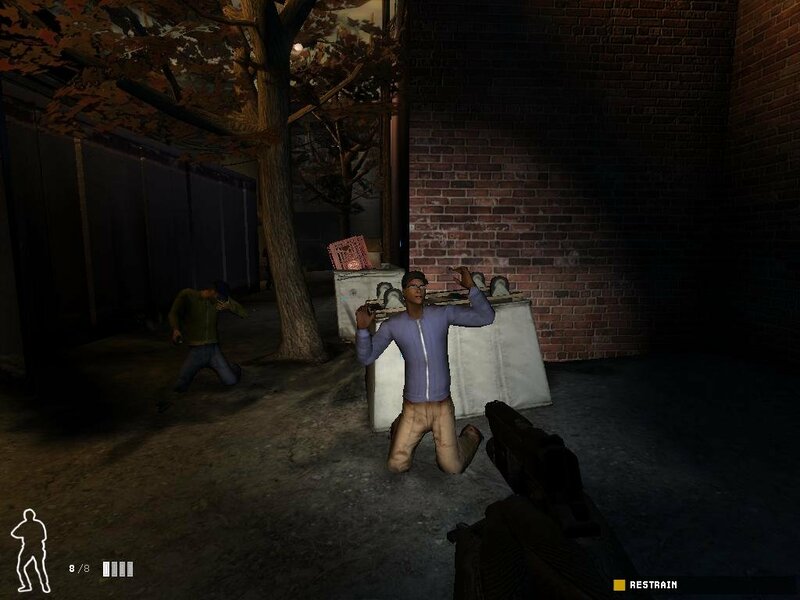 For example, one civilian got shot and killed because of a lost bullet during a “gunfight”. 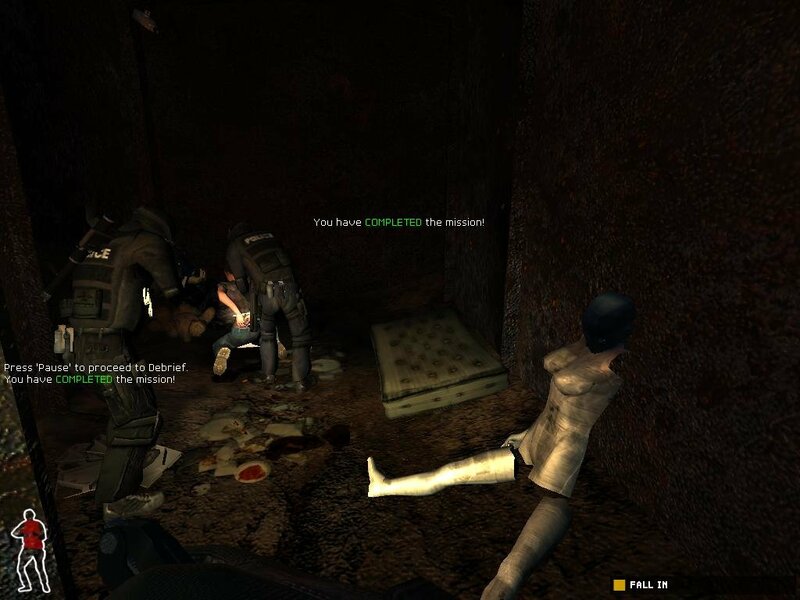 And when it happens at the end of the mission, it’s game over so you have to do it again. But well, this bad luck happened to me just once. 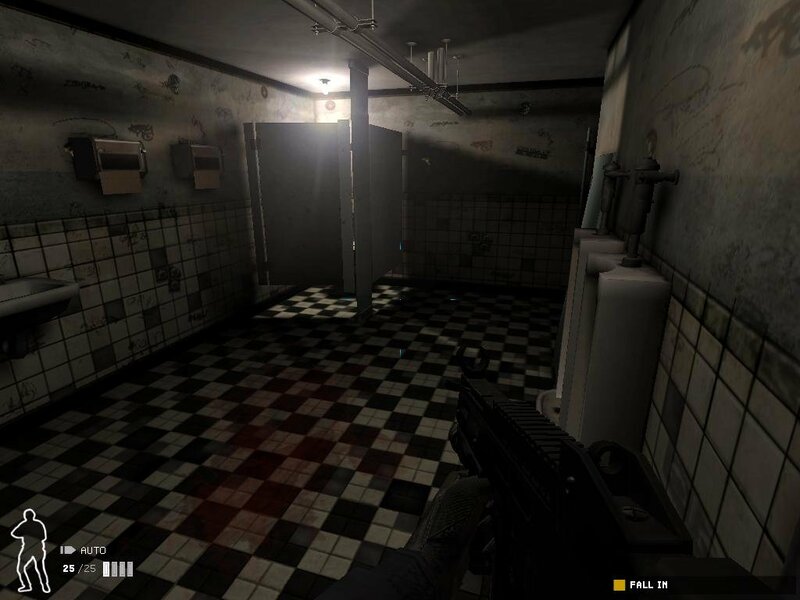 The good parts are that everything is random (enemies positions, their reactions, door open or closed…) and that provides a real tension every time you start a mission because you have to be careful. That’s where this game never fails. 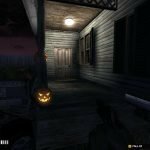 It asks for a serial?